Marvel's Spider-Man New Updates Adds Fantastic Four Costumes. 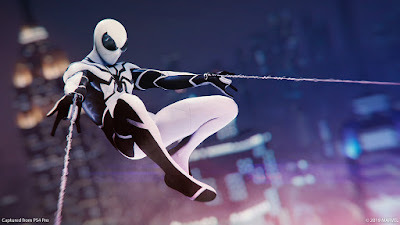 Marvel and Insomniac have today announced the next two costumes to arrive. 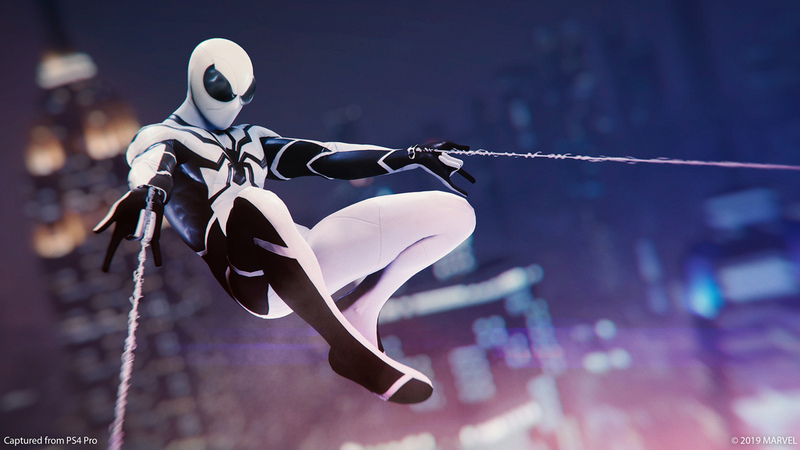 The latest update for PS Exclusive patch is available 1.14 is available now. Download it and you will get two new amazing Fantastic Four themed suits. 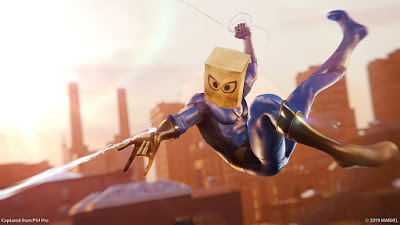 First is the Bombastic Bag Man suit, which gives Peter Parker the trademarks blue Fantastic Four costume and a paper bag to cover his identity(Face).And then second Suit is Future Foundation Suit, which Spidey wore in the cosmic when he actually joined a version of the Fantastic Four as one point.